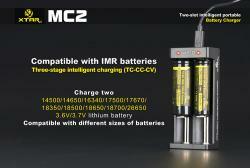 Charge two batteries simultaneously and independently. 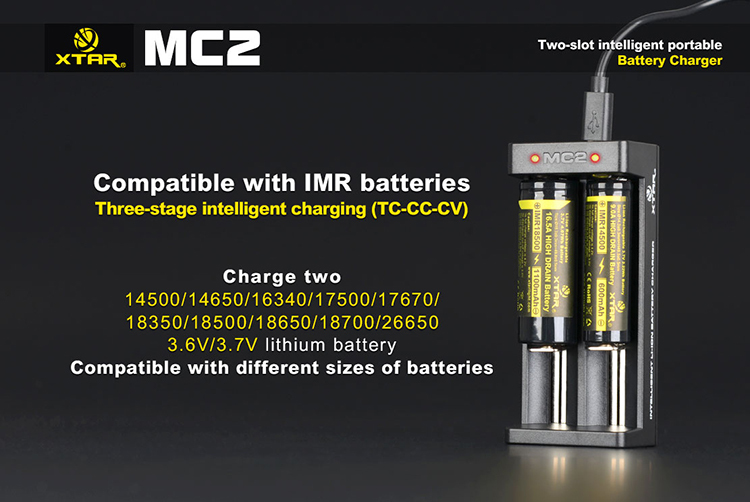 Intelligently identifies input power and automatically adjusts to a suitable charge current(0.25A/1.0A). 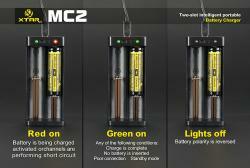 LED indicators do real-time display of battery state. 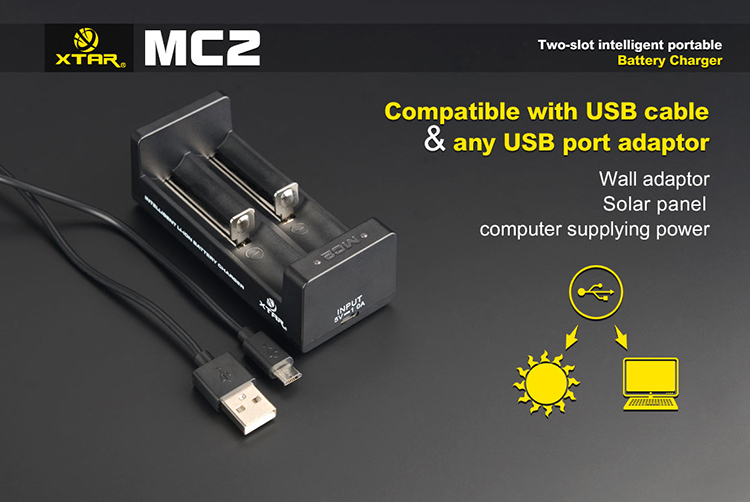 Over heat protection. 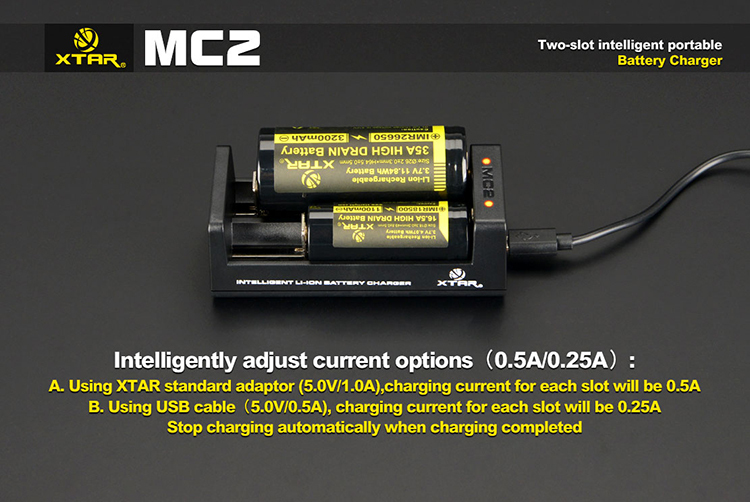 When operating in high temperature, the Xtar MC2 will automatically lower charge current to prevent over-heating. Built-in reverse-polarity and short-circuit protection circuit. 0V activation and soft-start function. 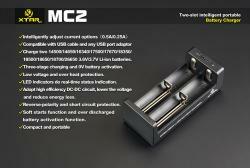 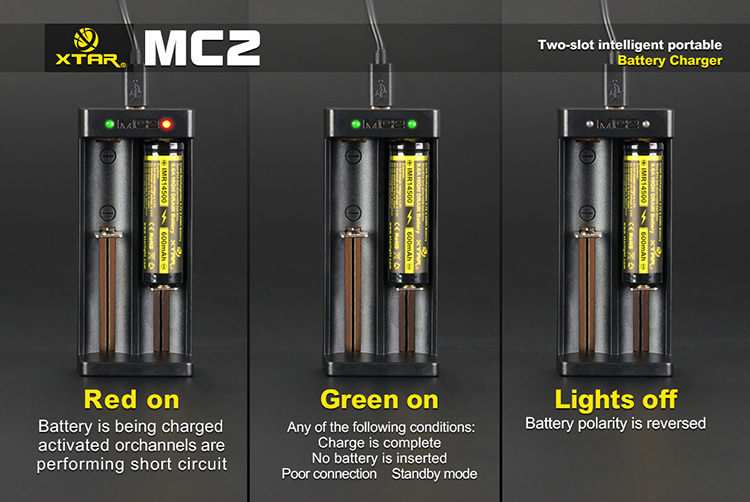 MC2 has under voltage lockout and self-start function. 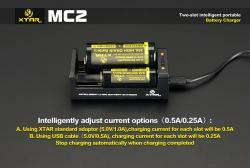 Automatic stop when charge is complete.